about this book: I began writing this story in November 2010 as part of NaNoWriMo (National Novel Writing Month). I was still pretty new to the whole writing process at the time, so I ended up spending the next five years rewriting it repeatedly. Thankfully, I've learned a lot since then and Book 2 won't take nearly as along to write. Being an avid reader since the tender age of four, I've loved books for over thirty years. It is with that love of reading in mind that I write what I hope to be captivating, compelling, and enternaining stories that are well-written and properly edited. 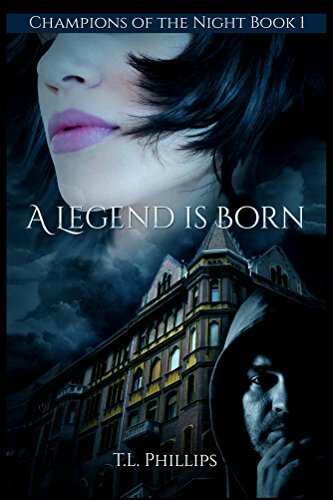 A Legend Is Born introduces readers to a world where you never know what dangers await you in the shadows, and even the most skilled fighters are subjected to unspeakable tragedy and loss. It also shows just how far some are willing to go for love. I hope you enjoy reading A Legend Is Born as much as I enjoyed writing it. Happy Reading!